How is a Child Ever Going to Learn to Behave in Church if They Aren’t in Church? It’s Sunday morning. The Church bulletin says that Church starts at 10:00am. It’s now 10:30am. You’re walking to the car to take yourself and the kids to Church. You’re arriving at communion. You’re embarrassed to come in that late, but you’re less embarrassed (after all, half the parish comes to Church late) than you would be by your children’s behavior if you stayed for the whole service. 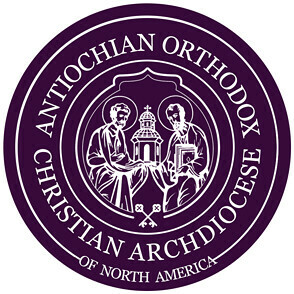 The holy season of Great Lent is a time of intense preparation for Orthodox Christians. The forty days leading up to Pascha, the glorious celebration of the resurrection of Christ, call for a concentration on repentance, confession and renewal through increased activity in worship, prayer, fasting, confession, almsgiving, etc. We should expect suffering and sacrifice, after the example of our Lord, so that we may share in His victorious life. On the Fourth Sunday of the Fast, we celebrate the memory of our Holy Father John the author of the Ladder.